20th Century Fox announced their first lineup of 4K Ultra HD Blurays. The first 4K Ultra HD Bluray Player is set to hit stores in 2016. Who’s ready to upgrade their movies once again? 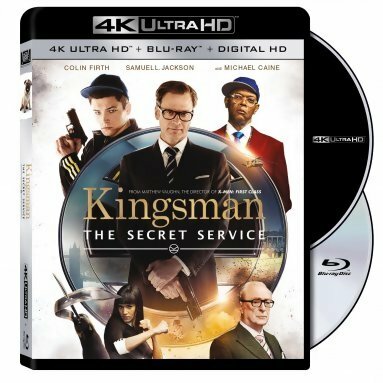 Do you think that it will completely replace the standard Bluray format? Or do you think it will fail to surpass? With blu Ray failing to eclipse dvd I don’t feel ultra will come close to what blu Ray has already accomplished. I’m thinking it will be niche for a while until digital ownership takes over like with music. Completely agree. I don’t really think it’s even going to affect people with TV’s less than 60″ anyway. I think it’ll do well in the beginning but dwindle down as time goes on. I believe that Blurays are the final Hard Copy format that we will get. Thanks for the great comment! It won’t last for long. Bluray will be the last format. Completely agree! Thanks so much for the comment! I’m very interested in 4K and will hopefully eventually get a 4k tv and player but this time i’m not gonna buy all the same movies again, more gonna try and stick to newer movies… hopefully we’ll see plenty bluray-4k combo pack so i can get started on the collection even before i have the tv/player. I’m glad to hear a different opinion on it. I’m sure that one day I’ll by a 4K TV. If that happens, most likely in the future I’ll wind up buying a 4K player and maybe a few newer titles as well. Like you said, It would most likely only be new release titles. I’m not going through all of this again lol Thanks for the comment!